Oh and there are a couple of board wipes that have good synergy with Shu Yun! Tragic Arrogance - Looks terrible at first, but YOU choose what everyone keeps - not the opponents. 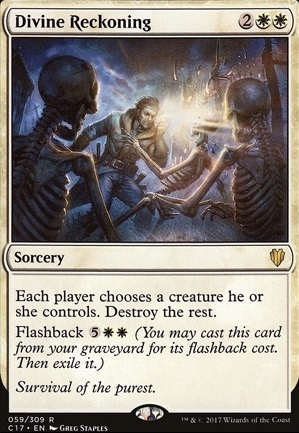 Divine Reckoning - Not as good as Tragic Arrogance, but you can flash it back for decent board control. Out: Ghost Quarter , Mutavault , Mishra's Factory , Aerial Responder , Angelic Accord , Bloodforged Battle-Axe , Containment Priest , Hanweir Militia Captain Flip, Leonin Arbiter , Lone Rider Flip, Loxodon Warhammer , Mind's Eye , Ranger of Eos , Soul Warden , Soul's Attendant , Sublime Archangel , Thalia, Heretic Cathar , Thalia's Lancers , True Conviction . 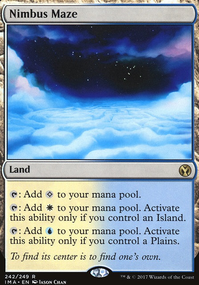 In: 7x Plains , Temple of the False God , Cleansing Nova , Divine Reckoning , Endless Atlas , Forsake the Worldly , Land Tax , Martial Coup , Mirror Entity , Rout , Slate of Ancestry , Smothering Tithe , Throne of the God-Pharaoh . Speaking of my own, Isperia's Flying Circus of Tools if you'd like to have a look for ideas. I've tried to make suggestions but I'm not quite sure where you're going... I don't see a lot of cards that gain you information to use Isperia reliably. I see in the comments that Telepathy paints a target, and at times I agree it can. However if you hold onto it until you're in a position to use it; it works better. Sometime having cards that allow you to 'Look at' rather than 'Reveal' a hand can be better as it doesn't give away secrets to the other opponents. You can find these cards in my build I linked rather than me posting a big list. To end it looks decent with the creature effects you have, so +1 from me. I hope you find some ideas from my share and if you have any ? 's let me know. Happy Tapping! Gadianten I considered Army of the Damned but I honestly did not like it in here, it would create too many Zombies. Divine Reckoning , Deep Analysis and Big Game Hunter are really cool, I will consider it. 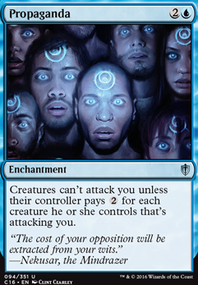 The other cards are have been considered already, but as I mentioned I don't like to play Tutors or too many reanimator effects. Skulloelegy Wow I did not know this existed, thank you I will add it immediately! 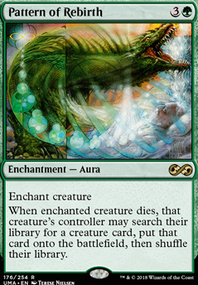 I would play more cards that interact with the draw and discard abiliy of your commander such as Army of the Damned , Deep Analysis , Divine Reckoning , Dread Return , Increasing Ambition , Unburial Rites , Dralnu, Lich Lord and Big Game Hunter . I recently hopped back into Magic after a short break, and Kestia definitely caught my attention for similar reasons to you it seems! Rather than throwing tons of enchantments into the deck, the value-midrange-control approach that she allows looks like a ton of fun. Good job on the primer, it is well laid out! I'm planning to build a similar deck, potentially with more value creatures/hatebears initially to see how well that approach works. If it doesn't, I'll probably work it over to something more like this. Definitely agree with cutting Augustin, and I think Heliod would be the best replacement. His activation draws extra cards from Ephara's ability. Mother of Runes might help push heavy hitters through to end the game quicker, as well as blanking spot removal. 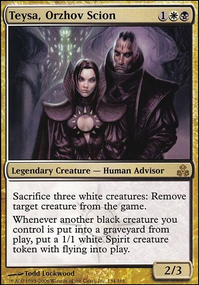 If you can't accelerate your game plan enough, you could try slowing others down with Thalia, Heretic Cathar (and she's solid for putting auras on as well with her first strike). I also included Divine Reckoning for when I have Kestia bestowed. I get double protection for her while others' creatures are vulnerable. I'll probably look into this more, as I want to push damage a bit quicker as well, so I'll let you know if I find anything else! Either way, really cool deck! All the best! ZendikariWol on A Deck I Take Great... PRIDE In! 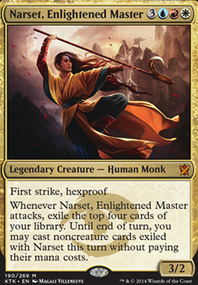 Rishkar's Expertise is one of my favorite cards, can I thought it was already in the deck. Good eyes, sir. Wrath of God (since Day of Judgement decides not to link right) is very good. I am putting in Divine Reckoning and will certainly add it in as well. 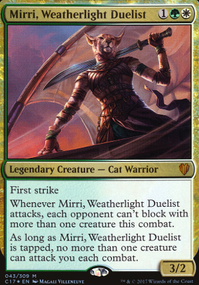 Sigarda's Aid is bomb but if I do include it, maybe I should change my commander?? Cuz Hammer of Nazahn does the same thing so Nazahn's only real purpose it to tutor it up. 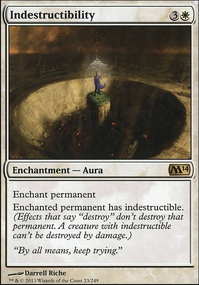 Oketra's Monument doesn't feel like enough value for this deck. Doesn't synergize, ya know? Pearl Medallion isn't great because I have so many colorless spells, so few whites. Radiant Destiny is good, but what to cut for it?